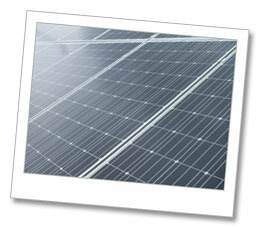 Solar energy electricity systems capture the sun’s energy using Solar Photovoltaic (Solar PV) cells. The cells convert sunlight into electricity, which is then used to run electrical appliances and lighting, or fed into the grid for use by other consumers. Solar PV cells don’t need direct sunlight to work – they will still generate electricity even on a cloudy day, although the more directly south facing and less overshadowed they are, the more electricity they will generate. In Cambridgeshire and surrounding areas we are lucky to have on average over 1550 hours of sunshine per year, higher than average for the UK. How do photovoltaic (PV) cells work? 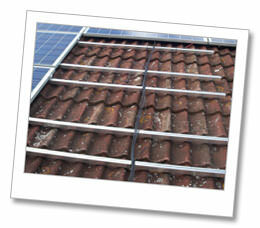 PV cells are panels you can attach to your roof or walls. Each cell is made from one or two layers of a semiconducting material, usually silicon. When light shines on the cell it creates an electric field across the layers. 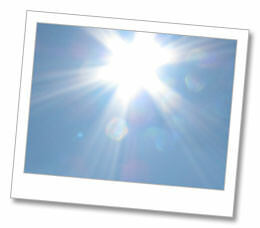 The stronger the sunshine, the more electricity is produced. PV cells come in a variety of shapes and colours, from grey ‘solar tiles’ that look like normal roof slates to panels and transparent cells that you can use on conservatories and glass. The strength of a PV cell is measured in kilowatt peak (kWp) – the amount of energy the cell generates in full sunlight. Reduce your carbon footprint: solar electricity is green, renewable energy and doesn’t release any harmful carbon dioxide (CO2) or other pollutants. A typical home PV system could save around 1 tonne of CO2 per year – that’s around 25 tonnes over its lifetime. Save money on your electricity bills: sunlight is free, so once you’ve paid for the initial installation your electricity costs will be greatly reduced. 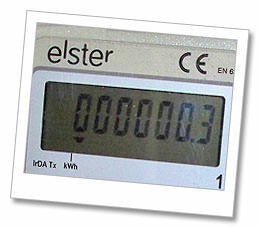 A typical home PV system can produce from 40% to 100% of the electricity a household uses in a year. Sell electricity back to the grid: if your system is producing more electricity than you need at any time then someone else can use it – and you could make a bit of money. Benefit from government guaranteed Feed in Tariffs for up to 20 years. These are payments, index-linked to the retail prices index, for every unit of renewable solar PV energy that you generate. Is solar electricity suitable for my home? Do you have a sunny place to install some polar panels? You’ll need a roof or wall that faces within 90 degrees of south, and isn’t overshadowed by trees or buildings. If the surface is in shadow for parts of the day, your system will generate less energy. Is your roof strong enough? Solar panels are not light and the roof must be strong enough to take their weight, especially if the panel is placed on top of existing tiles. If in doubt get in touch and arrange a no obligation inspection and quotation. Do you need planning permission? In Cambridgeshire you don’t need planning permission for most home solar electricity systems, as long as they’re below a certain size – but you should check with your local planning officer, especially if your home is a listed building, or is in a conservation area or World Heritage Site. What is the process of installing Solar PV? See our solar PV installation case study for full details on the process from quotation to handover. Interested? Then why not get in touch with us and arrange a free quotation? Taking into account factors such as electricity price inflation Domestic Solar Panels can pay for themselves in just 7 to 10 years.